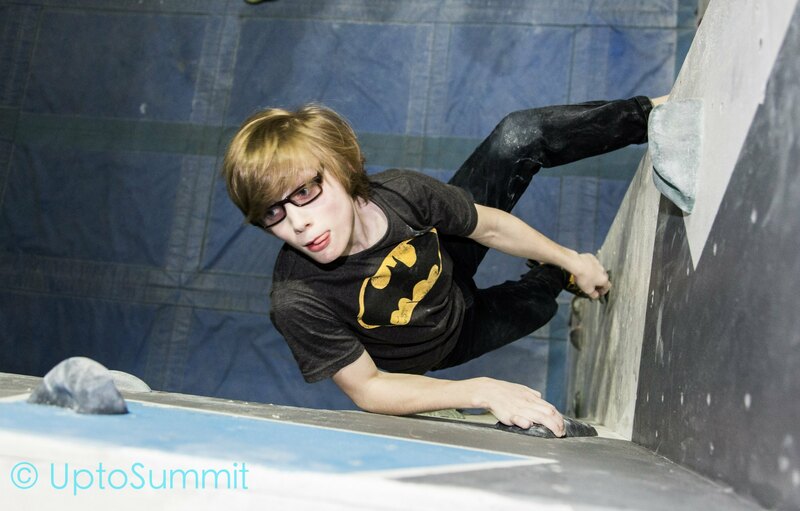 BMC Youth Climbing Series Finals!!!!! 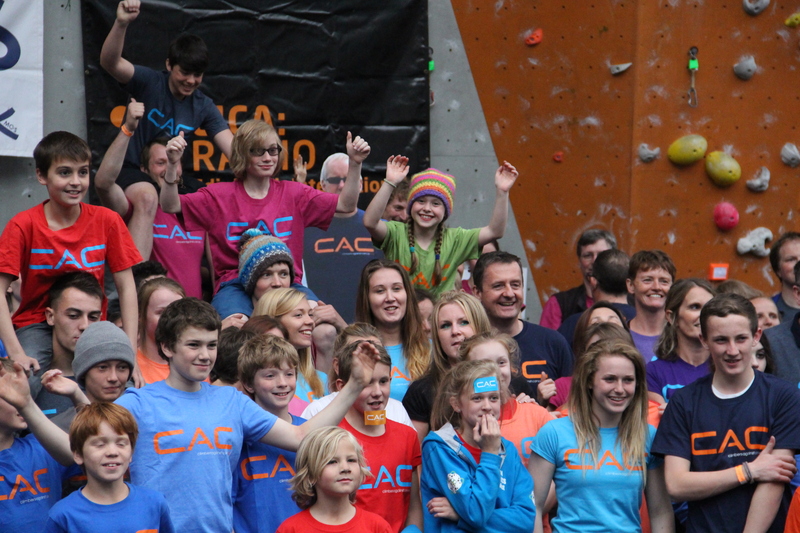 Big CAC picture at Ratho! 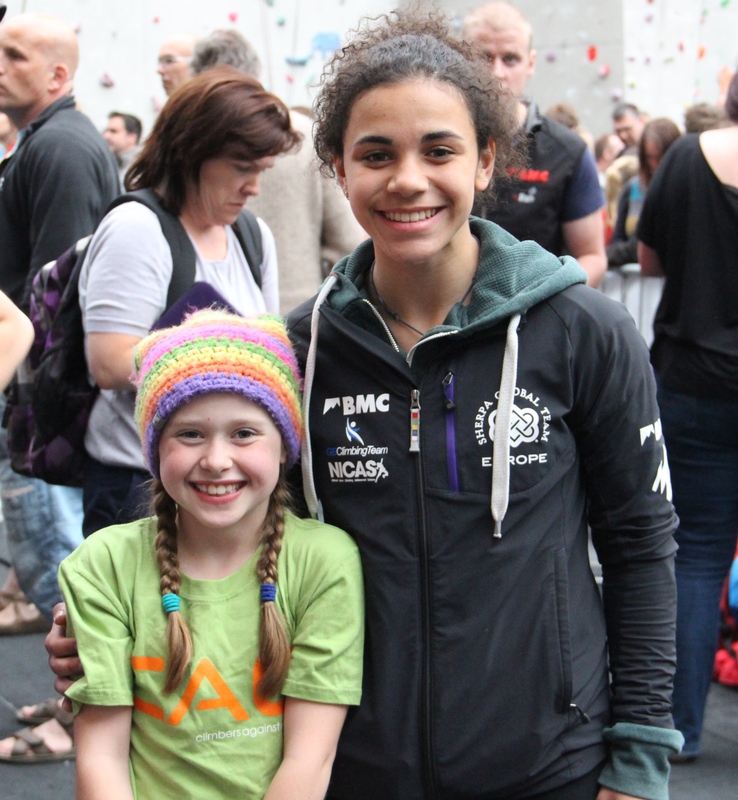 On Saturday 28th June I travelled up to the Edinburgh International Climbing Arena in Ratho to compete in the national finals of the BMC Youth Climbing Series. I had been training hard and felt ready and psyched to be going. I was first to climb in my group, up route number one, which I topped easily. Boulders one and two were flashes, as was route number two. 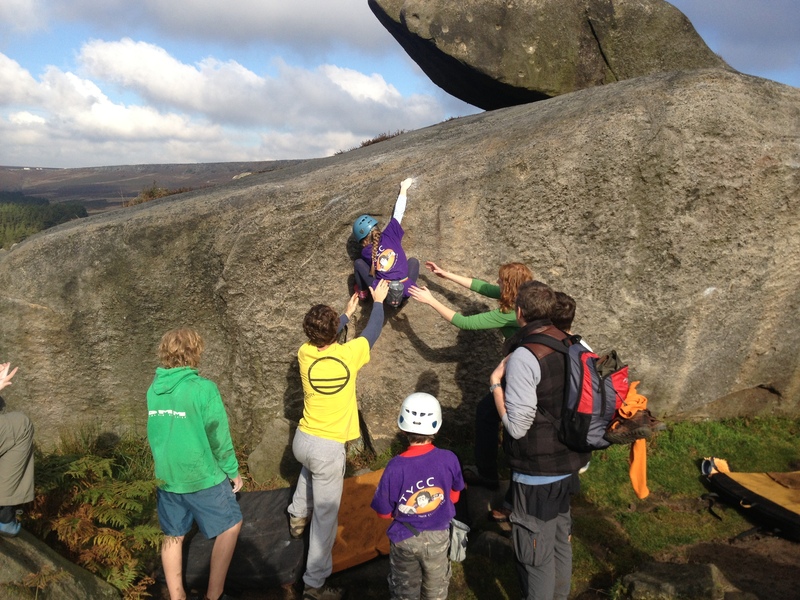 Boulder three proved more difficult, and I didn’t get the footwork needed to top this one. Route number three was up a big set of tufas, and I, along with most of the group, popped off just over half-way. This put me in 6th position overall, which was just outside what I had hoped for, but still an improvement on last year’s 9th. I was really pleased to have flashed four out of the six climbs, and knew that the others were possible. I was also excited to have met members of the GB Team, and got a new CAC T-shirt! 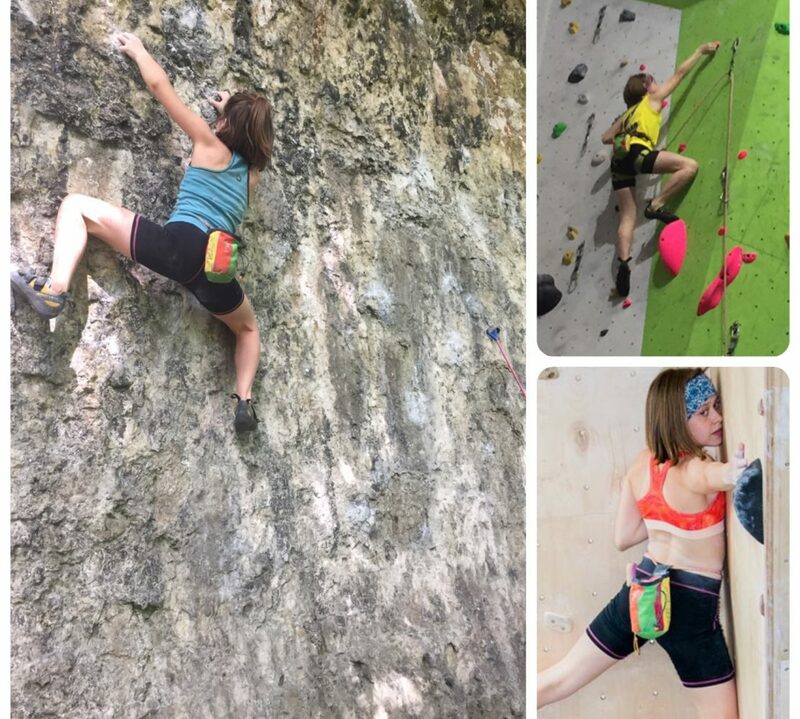 I went back to Ratho on the Sunday, and sorted out more of problem three and the final route, as you can see on the video above. I left Edinburgh really happy, determined to keep working hard and looking forward to climbing outside in the summer holidays.